Singer Ciara Has Been Involved In A Car Accident ! 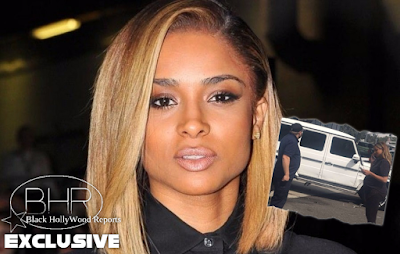 BHR Hollywood Reports.............Ciara, who is expecting her first child with husband Russell Wilson, was involved in a car accident in Los Angeles Friday. The "I Bet" singer was driving a white Mercedes SUV when she tried to make a left turn and a gray Volvo T-boned her vehicle on the passenger side. Photographs at the scene show Ciara talking on the phone immediately following the accident. Neither Ciara nor the other driver sustained any injuries. LAPD tells us that a traffic unit arrived on the scene to assist both parties in the exchanging of contact information. There will be no investigation. The R&B superstar, who is in the third trimester of her pregnancy, was reportedly making a left turn when a grey Volvo SUV hit the front passenger side of her Mercedes-Benz G-Wagen. 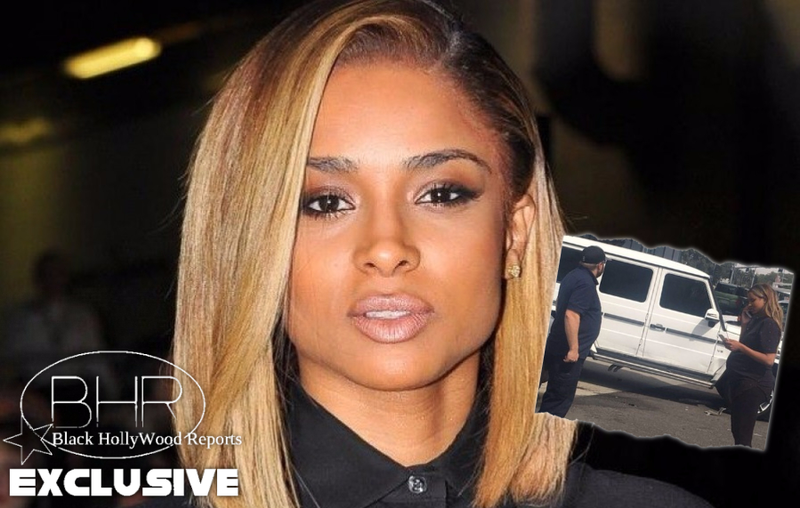 The Los Angeles Police and Fire departments both showed up to the scene, where Ciara was seen walking around and talking on the phone.